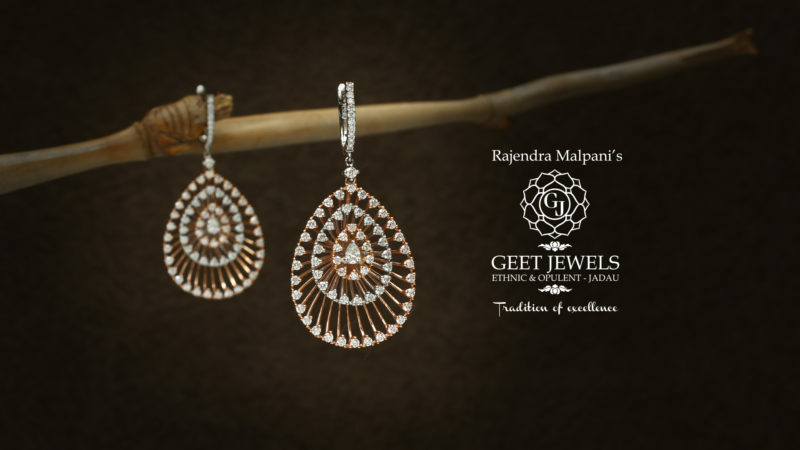 Inspired by the Peacocks, Geet Jewels exhibits this enticing pendant set from its Khwaab collection. 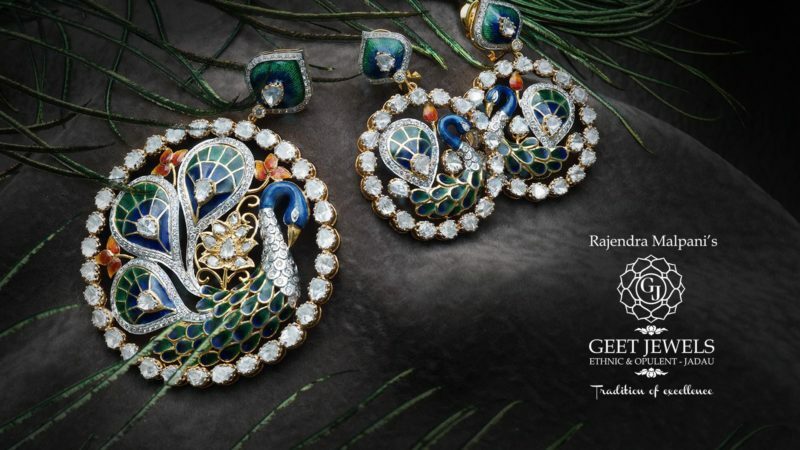 Crafted in gold and elegantly studded with the best quality of polkis & diamonds, the Italian enamel art has highlighted the peacock which is Butterfly feminine & epitome of grace. 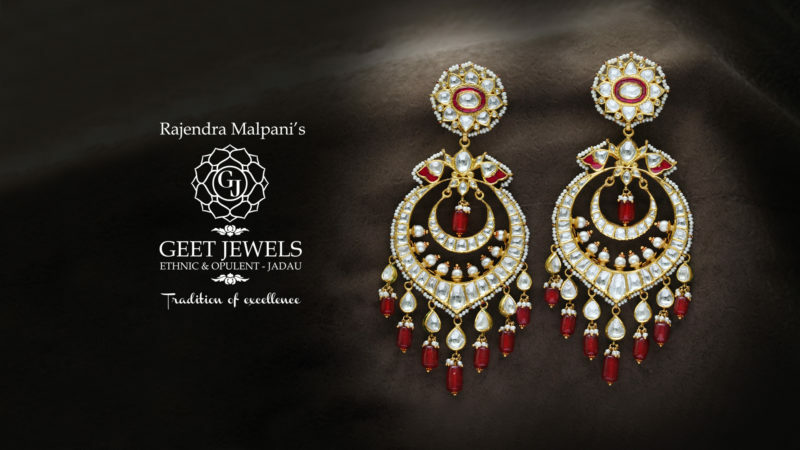 Bangles have always been an inseparable part of Indian culture. 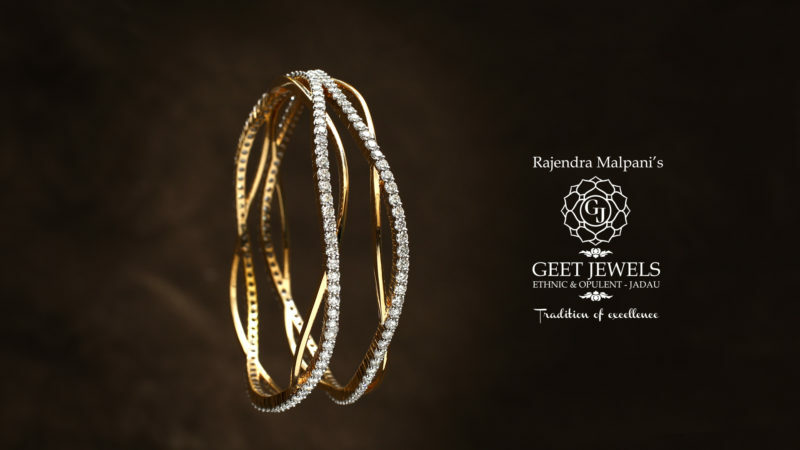 Understanding it’s importance, Geet Jewels presents the handcrafted criss-cross design bangles from it’s Khwaab Collection, finely studded with brilliant cut diamonds that enhances your shine throughout the day.